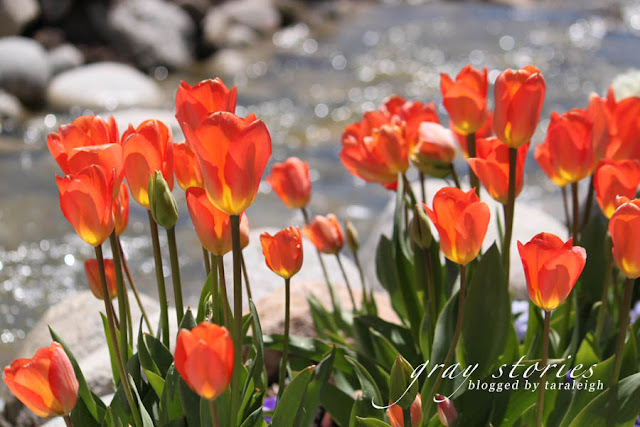 We went to the Tulip Festival at Thanksgiving Point and it was lovely! I'd never been so it was all new, and honestly not what I expected. But it was still great! I took a bunch of photos of a friend's little girl. She was super easy to photograph which made things fun. Liliane and Wesley had a bit of a rough start to their day (whiny and grumpy...you know the story) but once we got to playing and running around their temperaments changed for the good. I'm glad they extended the festival an extra week as the weather has been absolutely everything but warm until today. I am happily looking forward to being outside more!